I shared in the past about how I felt the Holy Spirit was leading us to become a hybrid-homeschool family a few years ago. At the start of this year, I wrote about how sending a child to school does not make you a bad parent. Since then, my 7th grader has returned to homeschooling. 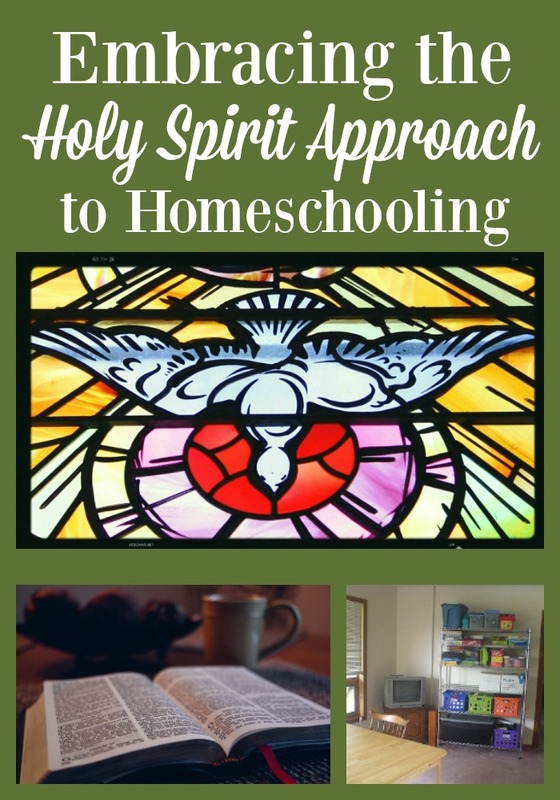 I consider all of this to be part of my embracing the Holy Spirit approach to homeschooling. 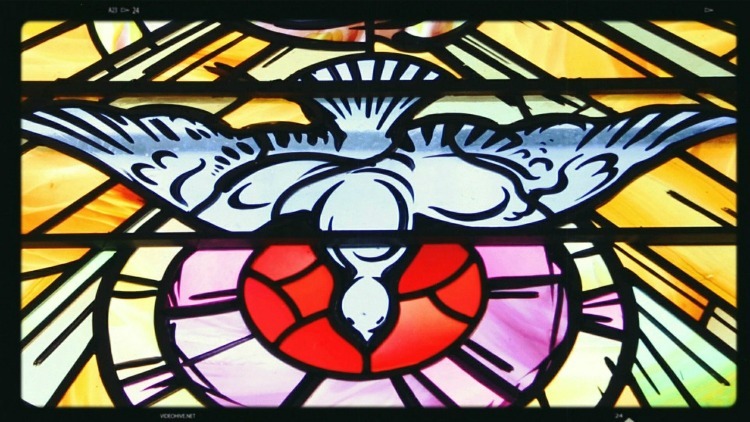 What is the Holy Spirit Approach to Homeschooling? Well, I can’t take full credit for this approach as another fellow homeschool mom at church shared years ago that she believed in Holy Spirit Homeschooling. Quite simply put, you allow the Holy Spirit to guide your path. When I have prayed and found time to just sit and listen, the path we walk seems to be a bit smoother. Not perfect, as we are not perfect, but there doesn’t seem to be as much resistance in my life. Honestly, this is just putting into practice what I should be doing in ALL areas of my life. Yet, somehow homeschooling brings with it different expectations. The system around us has standards and other expectations in place which leads to us have a notion of what should be. However, homeschooling does not and should not replicate the classroom of your local school. First off, prayer is a necessity. I’m not talking about the “I need help!” or “God, I am completely losing it here!” kinds of prayers. Those are more SOS style. Rather, this is taking the time to sit with the Lord, emptying yourself and all the preconceived notions you have, and then listening. Where you do this can be just about anywhere. The key is solitude and silence. For me, the best way is to head off to the Eucharistic Adoration Chapel at our church where Christ is present in the Tabernacle. A bonus is that it is really quiet and you rarely have more than one other person in the room with you. But, even your living room for 30 minutes or more before others wake up or at night when all are snug in bed works, too. A key component is also recognizing which monkey on your back is really yours. If God has led you to educate the kids (all or some of them) at home, then He will provide what you need. However, I also recognize that it does not mean all responsibility for everything that happens in your home is the mothers. I can pray over my children and what God is calling me to do. But, I can not control their actions nor should I beyond the guidance we are called to provide as their parents. For me, this gets challenging to remember when the older boys are struggling with working more independently. It bothered me for years with my eldest son who would procrastinate on his work to just crank out half of a semester in a few weeks. I tried to teach him study skills and time management, but he fought me on it. Now that he is in college, he is learning that his old approach just does not work. His grades in the fall were lower than they could have been. Finally, the monkey I’d tried to claim as my own is fully on his back along with the knowledge that his scholarship can be pulled away if his grades are sub-par. Another thing to remember is that just because we are heading God’s call, life is not going to be nothing but happy days ahead. Spending time online looking for ideas is something many of us enjoy. However, we have to keep in mind that most bloggers and websites are presenting their best moments and not those that have you pulling out your hair. Ironically, when I’ve tried to paint a more realistic image of life here on the blog, it seems like no one wants to read. I guess we all want to look at the picture perfect, fairy-tale lifestyles that social media and the internet present and then wallow in private about how inadequate we are. Remember that you are not alone with days that have you questioning your sanity. How to you allow God to speak into your life with regard to homeschooling? 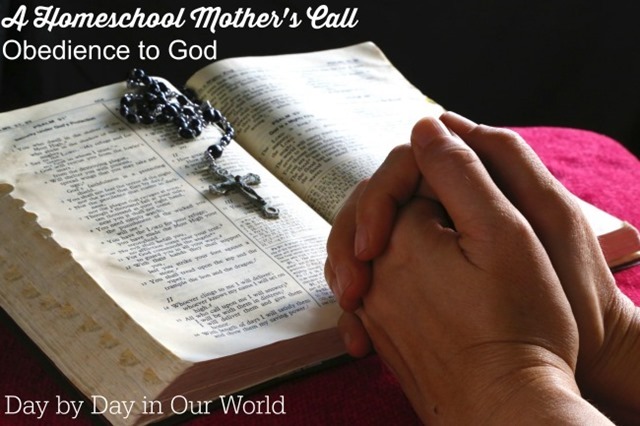 Do you spend dedicated time in prayer over how to both home educate and raise your children? This post is part of the 5 Days of Tips for Homeschool Parents Blog Hop with the Schoolhouse Review Crew. 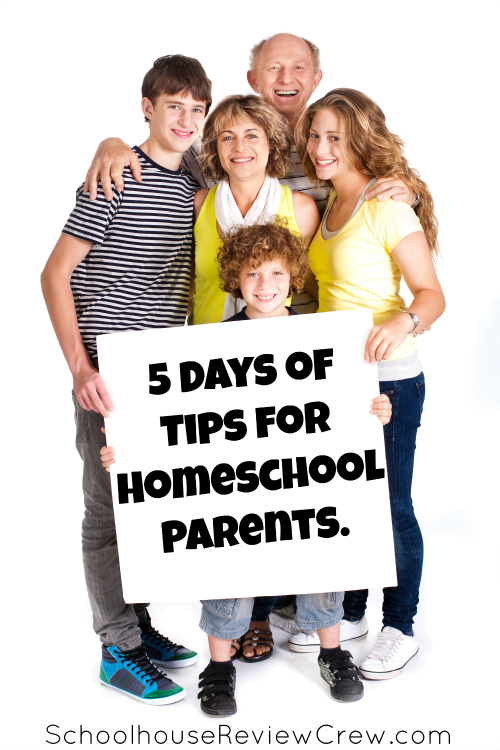 Each day I will showcase a small group of homeschool bloggers participating in this 5 day hop. Click on over to see what they are sharing as the overall theme is fairly open. I am eager to see what everyone is sharing, too. It's so true that our homeschool days run much more smoothly, and we have peace in our home when I take the time to pray specifically about it! I start each morning with Scripture reading and prayer, but I also have a tendency to rush through my prayers instead of setting aside a dedicated time to really focus. Thanks for sharing this challenge and wise advice! Kym, I have found the same thing. When I used to have 'circle time' with all the boys which included prayer, life seemed smoother. My older boys give me looks about it now, but I think we need to go back to it. I'm trying to become more focused in my prayers and use more reflection rather than the SOS style you mention. :) I did pray A LOT before we pulled our oldest out of private school, and I very clearly understood that was the right choice, and now it still continues to be! I think many of us embrace the SOS style of prayer more often than we'd like to admit. And, I think it is totally valid. But, dedicating time to just sit in God's presence is SO important. I did the same covering in prayer over the initial decision to homeschool my older boys as well as allowing my third son to attend public school for just over 2 years. It is a lot easier to embrace the struggles when you know that God has called you to walk a particular path. It is so hard to not be in control of the bigger ones. My older boys are right in that "nothing..nothing...panicked flurry..." phase, and it drives me crazy. Hopefully the Spirit guides them into a path that does not include stressing mom! I think a lot of it is because there is so much pressure to keep up (whether from seeing what others do or knowing those judging are skeptical of homeschooling to start with), and it's hard to let go. Meg, I think you are quite right. I still worry what others will think of ME because of what my child does or doesn't do. To a degree, that has always been a part of the culture ~ looking towards the parents as the ones who determined whether someone succeeded in life or flopped big time.